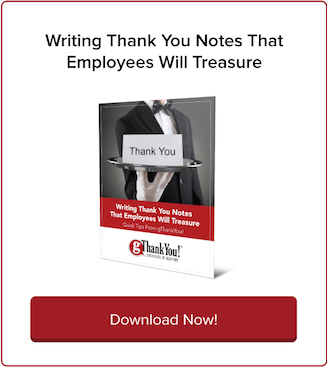 How Sharing Customer Feedback Boosts Employee Engagement | gThankYou! Positive customer feedback makes a big difference in customer service workers’ engagement! Frontline employee engagement depends on making sure your workers hear positive customer feedback. Gallup research of employee engagement trends across the U.S. reveals a distressing engagement gap between leaders and frontline employees. A 2012 Gallup poll of employee engagement found that managers, executives and officials lead engagement while service workers rank near the bottom. One explanation for this gap is how often each employee group hears customer feedback. Typically, management sees the bird’s-eye view of customer feedback trends. Meanwhile, service workers hear “thanks” from customers but aren’t always privy to the full range of positive feedback that the company receives. Service employees aren’t the only ones who benefit from hearing customer feedback. Non-management employees who don’t have direct contact with customers — including clerical staff, drivers and production workers — also report lower engagement than managers. 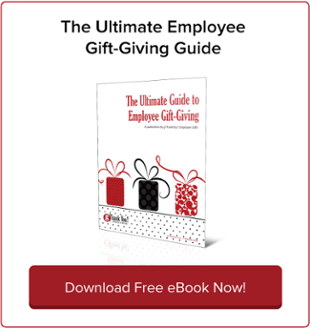 Eliminate the employee engagement gap and make sure your employees are hearing all the appreciation they deserve! Read on for three key ways sharing customer feedback increases employee engagement at all levels. Meaningful work, it turns out, has everything to do with knowing that our work matters to someone else, no matter if the work involves cleaning floors or performing surgery. Sharing customer feedback in real time and with as much transparency as possible gives employees a full picture of why their job matters. It communicates the human impact of their work. The Hively blog post “Customer Feedback Helps Your Employees Be Successful” makes a sports analogy to explain why customer feedback is so essential to employee satisfaction. Imagine playing a sport and trying to get the most out of your team members without telling them the score. Company-wide transparency reinforces learning and lets everyone discover which teams need improvement and which teams are demonstrating best practices. When employees hear first-hand what works (and doesn’t), they’re motivated to act accordingly. “Customer feedback is amazing for improving your team’s morale, their efficiency and their skills. It transforms good teams into great ones,” writes Chris Stainthorpe in a CustomerSure blog post on soliciting and sharing customer feedback. But be careful! How management handles feedback makes a big difference. Feedback is a powerful tool, so it matters how you communicate it to employees. The old adage “show, don’t tell” applies. “You won’t see the benefits of feedback if you route it all to one customer service manager, or worse still, you file it away in a spreadsheet,” Stainthrope writes. But when feedback is shared with the whole team, it boost everyone’s morale and skill! 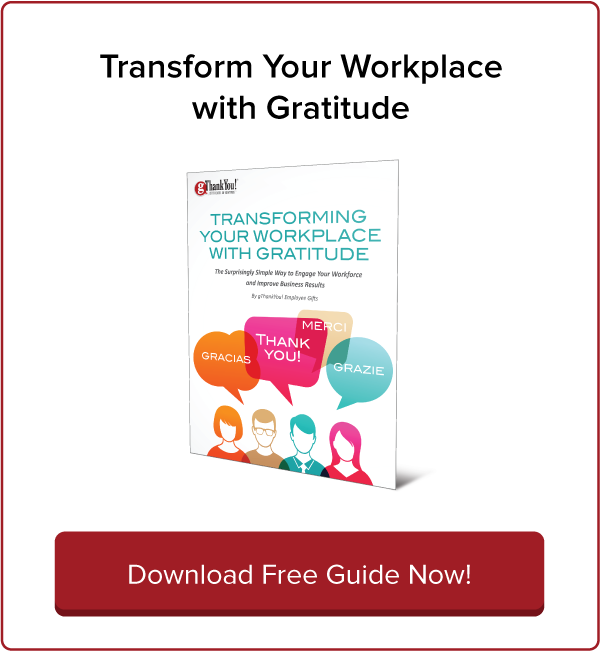 Making sure employees hear customer appreciation and are empowered to act on any necessary changes is an important part of growing a culture of gratitude in the workplace. It sends a clear message that your company values the opinions and appreciation of customers. Reinforce that message by seeking out employee feedback, too! By valuing customer feedback, you’re also valuing and demonstrating company gratitude and success. 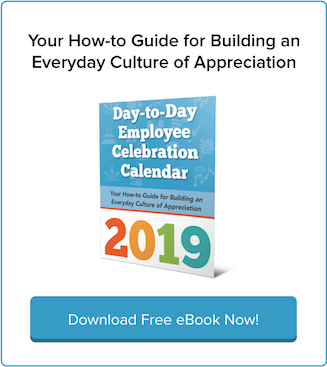 To get the most mileage out of customer appreciation stories, share and celebrate your employees’ day-to-day achievements and connect these achievements directly to business successes. Boost Employee Happiness With Anonymous Feedback!